The Simpsons forecasted Jordan Peele's Us. What looks like a 2019 major horror hit, Us has become the new box-office champion where it has downgraded the year’s biggest grosser, Captain Marvel. Director Jordan Peele has given yet another game changer to the horror genre through Us. Much like Peele’s 2017 Get Out, Us also left the audience with a puzzling climax. In fact, the film’s conclusion has led many movie-mongers to pen countless theories. But Us' ending may not be as complex as it claims or seems to be. It may have been inspired or originated from any of the previous thriller cinematics, but if we were to have a bit of intuition to all its plot (vaguely comprised of subtle comedies), then we can possibly find quite a loose yet noticeable connection of the film with one particular episode of Fox's classic sitcom, The Simpsons. In Us, the film’s lead character, Adelaide Wilson (Lupita Nyong’o) and her family (husband and two children) are invaded by a mysterious group who later turns out to be rather nobody but the very own doppelgangers of Adelaide and her menage. In South Park's sixth season, episode seven, "The Simpsons Already Did It" parodies just about every comedic idea that has already been picked up by Fox's cartoon series, which is currently in its 30th season. 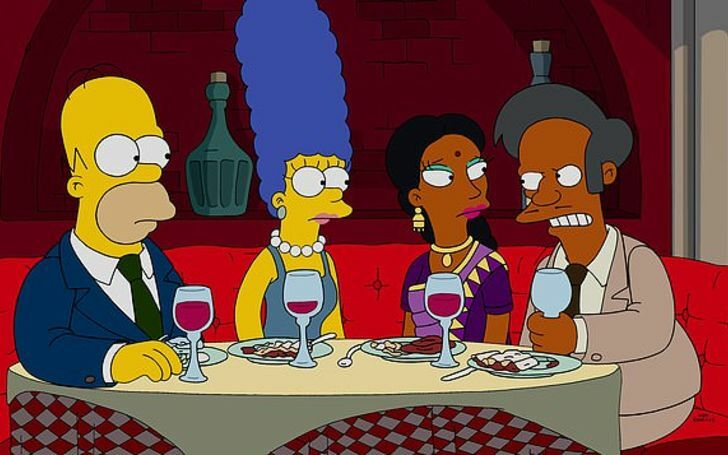 Simpsons, as well as its predictions, has been one of the classic pop-culture. And it was only a matter of some analysis before people started to point out the similarities between the animated series and Jordan Peel’s horror flick. In fact, there are a few major details of Us that were indeed already plotted by The Simpsons. For instance, the film's biggest disclosure: Red was the real Adelaide all along. The movie, at last, explains that the original Adelaide was long replaced by the real Red at the beginning of the film at the Funhouse. Incidentally, The Simpsons have also televised the similar storyline, only the series did it way back in 1996’s episode, “Treehouse of Horror VII” titled “The Thing And I.” In this particular arc, we see Bart being haunted by some strange sounds coming from the attic. Bart complains it to Homer and Marge but to no avail. Later, when Homer takes a bucket of fish heads to the attic, it is revealed that the sound was made by nothing but Bart’s conjoined identical evil twin, Hugo who had been secretly confined in the loft for his entire life. The big shock comes when later Dr. Hibbert who had performed the separation surgery distinguishes that the evil twin was the real Bart all along. In Us, Red, "the evil twin harrowing Adelaide," was already so frightening reminiscent of "Treehouse of Horror" that a Simpsons fan can easily note. This is exactly in the case where Red is the unfairly suffering Hugo to Adelaide's Bart - the bad one who benefited from the deception. "The Simpsons" has also showcased the duplicate gags of other characters including Guy Incognito, who was Homer's exact double in "Fear of Flying," and Lester, Eliza, Bart and Lisa's counterparts in "The Day The Violence Died." There are also other features of Us that par with classic Simpsons episodes. Hands Across America was long referenced in The Simpsons' 1992 episode "Brother, Can You Spare Two Dimes," where Homer's half-brother, Herb Powell needed the Simpsons' help to recover his fortune. In addition, Jordan Peele's production company “Monkeypaw” also has a link to The Simpsons; where the latter once possessed a magical monkey's paw that is shown with the ability to grant any wishes in an episode entitled "Treehouse of Horror II."